This chakra prism crystal suncatcher is designed with a 30mm AB clear faceted prism crystal that has an aurora borealis finish that will increase the amount of rainbows when in direct sunlight. 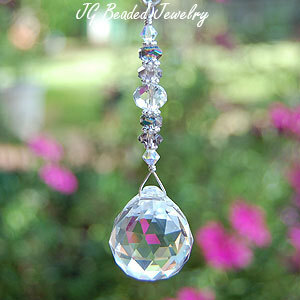 The prism crystal is embellished with flawless Austrian Swarovski crystals in chakra colors and fancy silver metal beads. 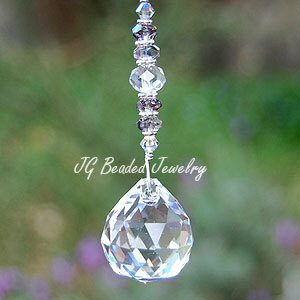 Swarovski is known worldwide for precision cut designs and flawless crystals. 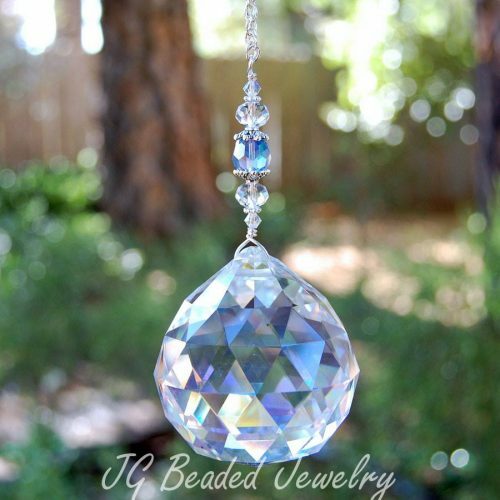 The chakra crystal comes on your choice of a silver chain with a clasp (for ease of hanging on the rearview mirror) or a 6″ chain with ring to hang on a hook in a sunny window or wherever you choose! 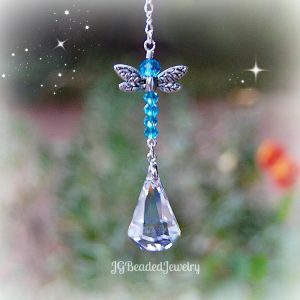 Offering many unique suncatchers and car charms.